You have a legal entitlement to compensation if you sustain injuries in an accident as a result of carelessness or negligence of someone else. Filing a personal injury lawsuit to get compensation can be a lengthy and challenging process. Personal injury cases are more complicated than what most people think. Consequently, you need to maximize your potential benefit. What most people do not know is that what they do after the injury plays an integral role in the personal injury claim as well as the amount of compensation that you will get. These tips will help you to make the most out of your personal injury claim. The jury will decide your case based on the evidence you present to them. Similarly, the other party will select the compensation amount based on the strength of your case, which is determined by the evidence that you present. As such, the more evidence you preserve, the higher the chances you have of winning your case. You should take photos of your immediate injuries and the accident scene immediately after the accident if you are in a position to do so. Additionally, it is wise to collect contact information and names of the witnesses because you will need them to testify in court. It is also wise to get a copy of the police report if it is available. A personal injury attorney can follow up on the details and collect witness statements to prepare the case. You need to carefully select the right personal injury attorney to represent you when you have been severely injured due to a defective product, accident or medical malpractice. The personal injury lawyer you select for the claim will have a significant impact on the outcome of the claim. The level of expertise and skills vary from lawyer to lawyer. As such, you must pay close attention to the kind of attorney you hire if you want to get maximum compensation for the personal injury claim. Also, the type of personal injury cases the lawyer has handled in the past, and the attention you get as the client determines the compensation amount you will get. One of the tips you should never overlook if you want to get the most out of the compensation claim is staying off social media. Notably, anyone can find and use the comments or photos that you post on social media sites, including the defense. Personal injury attorneys search for evidence even on social media sites so that they can use the information against you in court, which affects the compensation amount. Consequently, you must refrain from posting anything concerning the case on social media so that you do not give the defense team information to use against you. Also, you could be suing against devastating injuries, but your social media platforms tell a different story, which could potentially ruin your case. Remember that the other party is watching and it could adversely affect your compensation benefits. Additionally, you should not discuss any aspect of the personal injury case with anyone until the jury settles. Winning a personal injury lawsuit means that you will get a fair payment for your losses and injuries. Therefore, you need an accurate image of your damages. Doctors and other medical practitioners should document the injuries you sustained from the accident and come up with a treatment plan. The documentation might encourage the other party to offer a higher settlement amount than they would have if you did not have the documents. 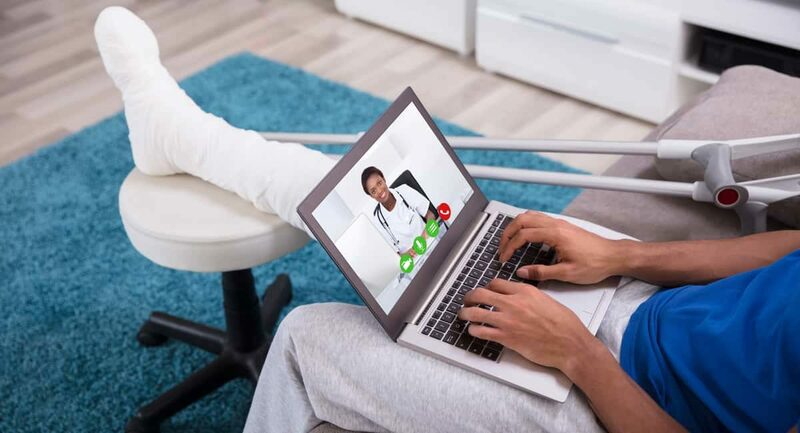 Unfortunately, most people reduce the compensation amount unknowingly when they fail to get medical treatment perhaps when they think that the injuries are minor. Also, you should follow the recommended treatment plan including physical therapy and treatment for post-traumatic stress so that you get the maximum compensation benefits. Insurance adjusters are trained and experienced in starting negotiations by offering a low settlement amount or even deny liability. Therefore, you should not allow yourself to be fooled by the adjusters because they use tricks to find out if you know the value of the claim. They then motivate you to accept a smaller compensation amount than the required by trying to fill your pocket quickly. You must first think if the offer that has been made by the insurance company is reasonable or not. Also, you should never agree with the third party if the Foyle Legal Perth has to offer is not present. Some people think that they are limited to one type of damage. In reality, there are several types of costs that people suffer because of the injury they sustain from an accident. Usually, most people are not aware of the losses and injuries that they have experienced. To maximize the compensation benefits, you should claim for emotional damages and loss of regular use of your body. Those should be beside the out-of-pocket losses that you will incur during the recovery period or the future damages because you might not have recovered from injuries during the trial. One of the things that reduce the compensation amount or sometimes lead to denial of the claim is filing the injury claim late. Most people do not know that they have limited time to present their case. You should submit your claim as soon as possible to avoid running out of time. You need to know that you cannot recover at all after the expiry of the statute of limitations. Additionally, filing the case as early as possible gives you the chance to start gathering evidence formally. It is a vital aspect of preserving the evidence required to build your lawsuit. It also acts as a sign to the other party that you are serious about claiming your compensation benefits. A personal injury attorney will help you to get the most of your injury claim when the case goes to trial. These tips will also assist you to get a fair settlement. The legal process might take a long time, so you must be patient. What to look for in a great personal injury lawyer?